Sonja made the Meditation Boxes mainly during 1961. 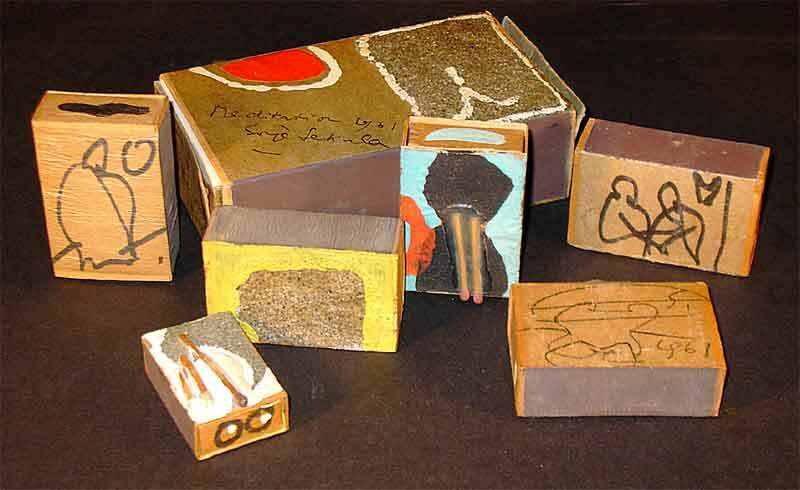 Typically they are matchboxes colored and decorated with sand. They are most time filled with matches, little colored stones and little pieces of paper with some words (mostly Haikus). They contain "... the pleasure of listening to the sound of raindrops .."
"Each box is a surprise of joy, it is like a heart of one for all"